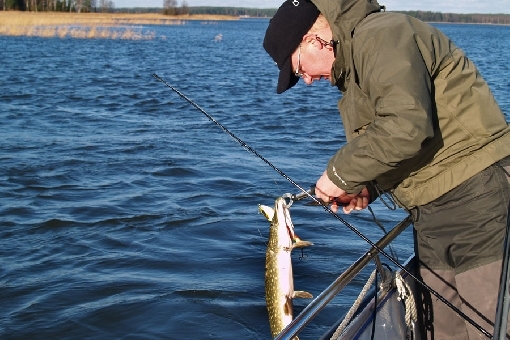 The waters around Pyhtää have broad and sheltered reedy areas ideal for fishing pike. The Gulf of Finland is the easternmost gulf in the Baltic Sea, spreading out in front of Finland’s South Coast over a distance of 300 kilometres. The waters of the Gulf of Finland Archipelago are rocky and shallow. This is also the reason for the abundant fish stocks. 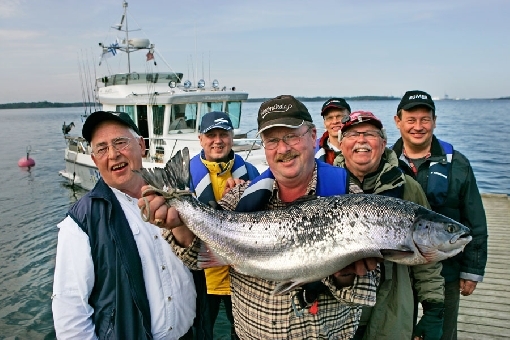 The Gulf of Finland is a diverse playing field for fishing many different species. The average water depth in the archipelago area is less than ten metres, with pike, zander and perch as the main game species. On the Gulf of Finland, you can find plenty of spots with chances of catching a big pike weighing even more than ten kilos. 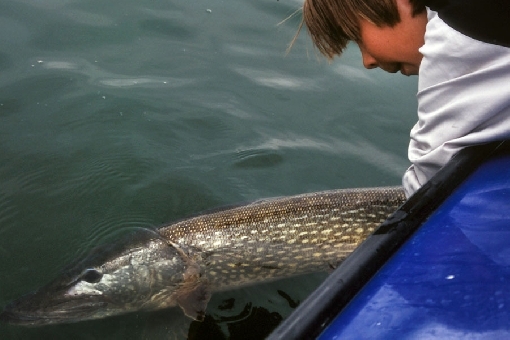 Shallow bay waters and the inner archipelago offer excellent sites for going after pike. Good spots can be found in Pernajanlahti Bay, for example. The Tammisaari Archipelago is a well-known site for big pike. 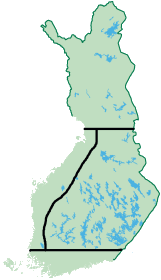 Great zander areas include Sipoo, the area around Kirkkonummi and Tammisaari and the waters in the vicinity of Helsinki. On average, sea zander are small, weighing less than a kilo, but high in number, once you find a hot spot. 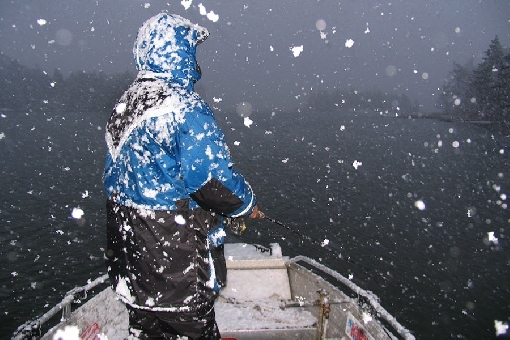 In winter, zander ascend into rivers, such as River Porvoonjoki, where they strike jigging lures. Perch is a common catch throughout the Gulf of Finland, offering great experiences both during midsummer hot spells and on the end of ice-fishing lines amidst the expanse of ice. In late autumn, half-kilo perch strike jigs voraciously on the edges of shallows and in rapid-flowing sounds, of which there are many here. Spring angling for whitefish has started to gain in popularity in recent years and you can go after whitefish as early as in late March or early April, right after the ice has broken up. Limpid, sandy areas beside bridges are popular fishing grounds. 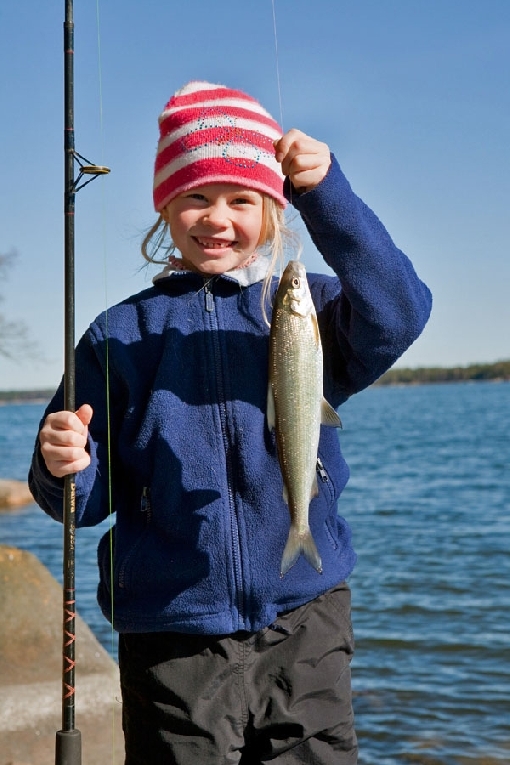 The normal size of whitefish is around 500–700 grams, but larger ones can also be caught. 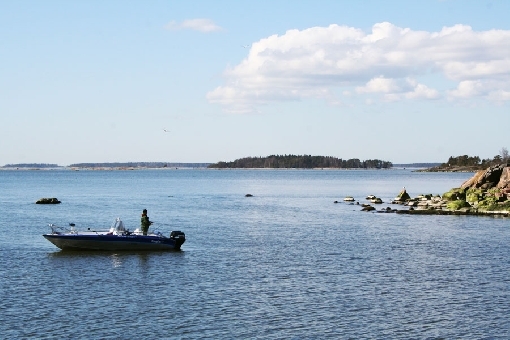 Virolahti in the Eastern Gulf of Finland is one of the best areas for sea trout. 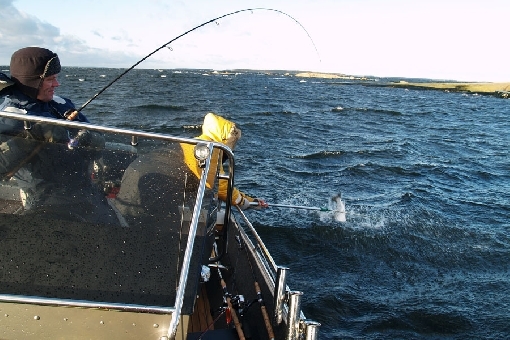 Sea trout are pursued amidst the splendid scenery of the outer archipelago of the Gulf of Finland. On a good day, your spoon may even be snatched by several bright-flanked and fierce individuals, eager to tug on the line, from windward island shores or at the tip of a point. 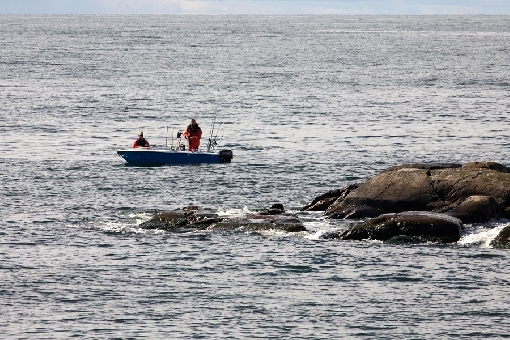 Trollers go after salmon beyond the Archipelago. They need to work hard to find salmon, but their lines may even be whizzed by big ones on the best days in early summer. On a guided fishing trip, the catch may be spectacular. The scenery on the Gulf of Finland is a sight for sore eyes. Rocky islets, stony islands with sandy beaches and the wide open sea spreading out between them are characteristic of the Gulf of Finland. The scenery is excitingly lush and rugged at the same time. Typical features of the Gulf of Finland include shallow reedy bays that extend far inland, making for great fishing grounds. There are two national parks on the Gulf of Finland. The Tammisaari National Park with its extensive archipelago covers the sea areas off the coast of Tammisaari and Hanko. The Eastern Gulf of Finland National Park off the coast of Hamina and Kotka represents the rugged outer archipelago and is known for its diverse species of birds. The mass migration of arctic birds in late spring is a dazzling spectacle of nature on the Eastern Gulf of Finland. A view over the Inkoo Archipelago. The coast of the Gulf of Finland is generally frozen over from January to March. Water quality is satisfactory and water is muddy in some bay areas. From time to time, the occurrence of algae may temporarily hinder fishing. Along the coast of the Gulf of Finland runs the King’s Road, an ancient postal route. There are numerous mediaeval churches, manors, historic ironworks and seaports along the route. 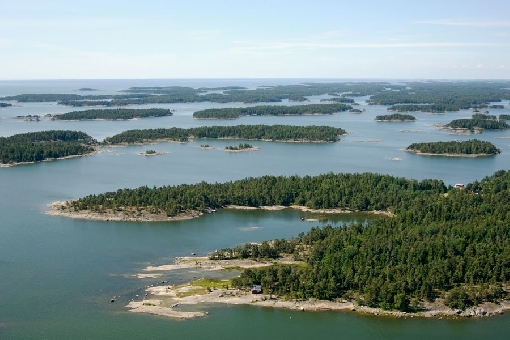 The Helsinki Archipelago offers beauty and fishing grounds. Sea trout is totally protected in the Gulf of Finland and all trouts with adipose fin must be released back to water. Total protection does not concern fishing for trout whose adipose fin is clipped.